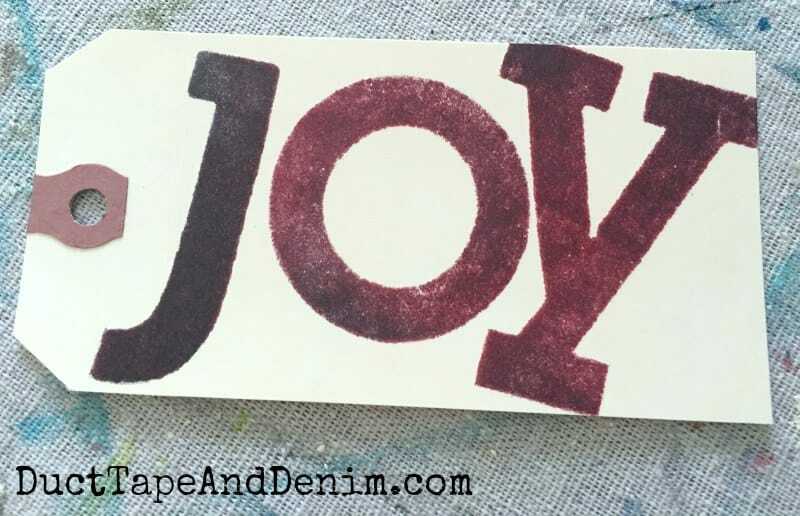 5-Minute Hand-Stamped JOY Holiday Gift Tags, Quick & Easy!!! Enjoying Christmas in July so far? What have you made? I’d love to see what you’ve made. 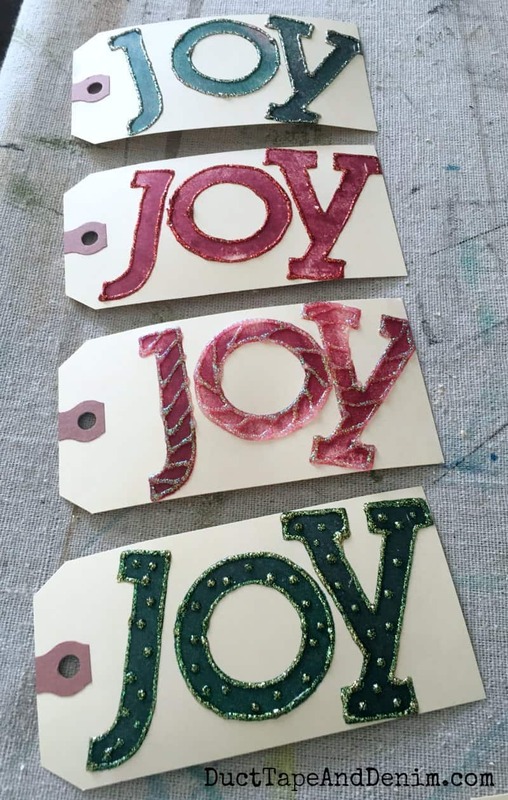 Especially if it’s as easy as these JOY holiday gift tags that we’re making today. We’re all busy people but we want to make as much as possible for Christmas. So we need some quick and easy projects! I’ve had these supplies for YEARS! 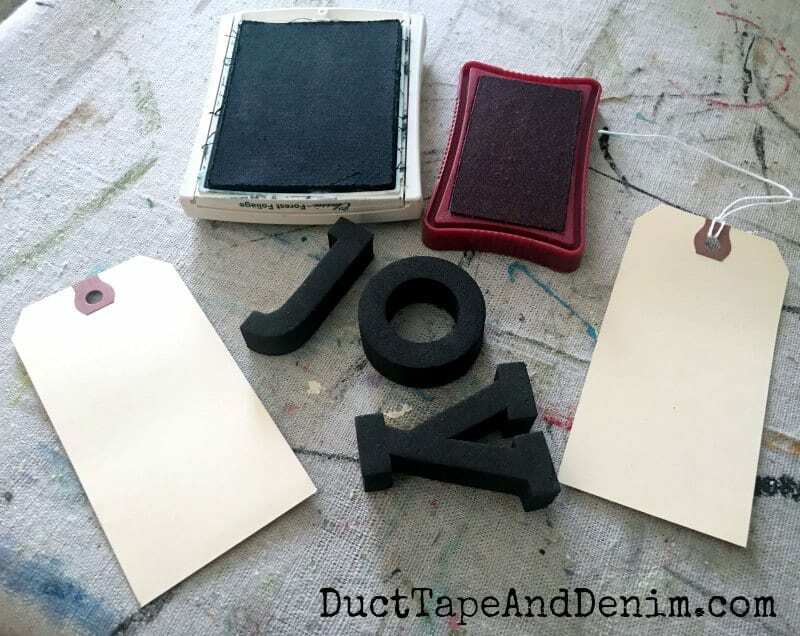 I’ve been searching for a source for the foam stamps. I haven’t found the exact ones yet so please let me know if you find some this size. I’ve found a few on Amazon aimed at teaching preschoolers their alphabet. Those would totally work, too! I love the texture that the foam stamps give… not a solid block of color. I could have stopped after just stamping but I decided to pull out my Stickles and add a little bling. Then I tied some seam binding and jute to them and they’re done! Thanks for reading and have fun Christmas crafting!